The inspector general for the agency released an audit last week finding "numerous instances of noncompliance" of the emergency overtime pay system for employees in Seattle, Wash.
Employees must receive a waiver from biweekly pay caps if they are to receive extra pay for working during a natural disaster, or for conducting "mission-critical" work. The inspector general found just a fraction of employees in the final three years of the Obama administration who received overtime pay had requested a waiver. "For Region 10, we identified 79 instances where employees exceeded the biweekly pay cap during FYs 2015, 2016 and 2017 (through January 7, 2017), the Most of the 79 exceedances lacked a supporting waiver request," the inspector general said. The Pacific Northwest region could provide only 15 requests that cited emergency and mission-critical work. The Human Resources Officer for the region must sign off on waiver requests, according to EPA policy. Only one out of the nearly 80 instances of emergency overtime pay was signed by the HRO. "In addition, 11 of 15 requests lacked adequate information to determine whether there was an emergency with a threat to life and property, or whether that the work was critical to the mission of the agency," the inspector general said. 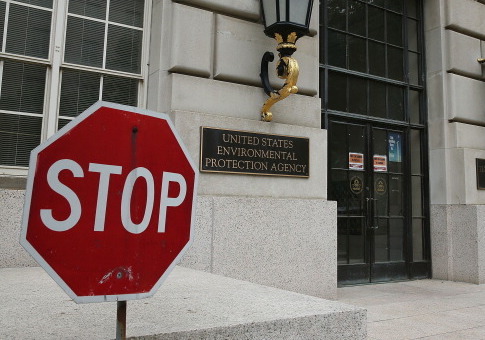 Employees earning overtime pay comes on top of the average $113,820 salary earned by EPA employees. Seventy-six employees earn over $180,000, which is about the salary of elected officials in Congress. The inspector general said without proper oversight, taxpayer funding could be wasted on overtime pay that is not justified. "This occurred because the region did not have an internal policy or process in place to address review by the regional Human Resources Officer, the need for sufficient justification, or the retention of supporting documents," the inspector general said. "As a result, the potential exists that Region 10 employees could be overpaid or be paid for work that does not meet the intent of premium pay requirements." The Trump administration has prioritized eliminating waste at the EPA and has a goal to slash the budget by 31 percent. Administrator Scott Pruitt ended taxpayer-funded gym memberships for EPA employees, which cost roughly $1 million per year. This entry was posted in Issues and tagged Big Government, EPA, Government Waste. Bookmark the permalink.